Dancing couple with big smiles on their faces. Blonde woman and handsome young man, salsa band playing various instruments. 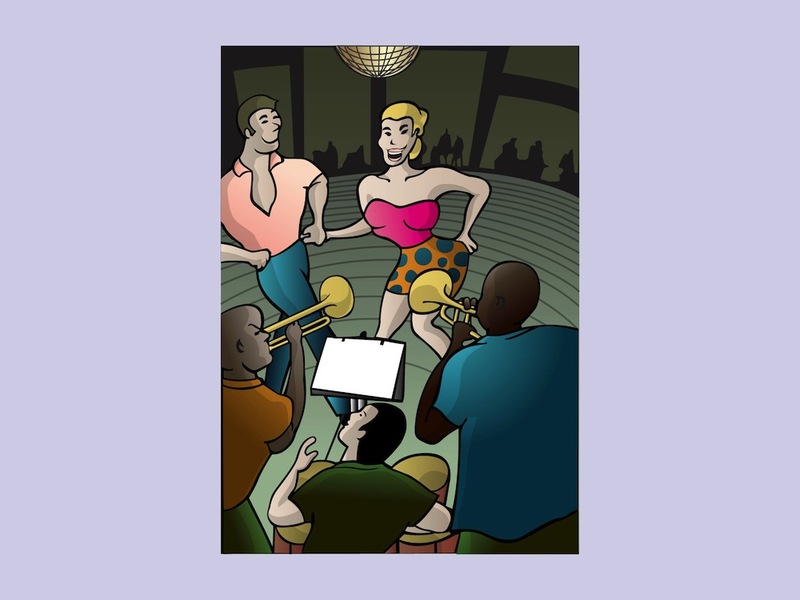 Free vector illustration suitable for dancing, music, salsa, night out, clubbing, band, entertainment, fun, couples or love designs. Colorful image for postcards and poster designs. Tags: Band, Club, Couple, Dance, Dancing, Instruments, Music.